MCF-ACADEMY LAUNCH - On Friday, February 20, 2009 Winka Dubbeldam, of Archi-Tectonics, presented the design for the MCF Academy at the MacDella Cooper Foundation’s “Fashion Week After Party” in Niki Beach, NYC. The event was completely sold-out and was a tremendous success. The attendance and speech given by the Grand daughter of the President of Liberia was a great inspiration to the evening. The auction resulted in generous donations, allowing the MCF Academy to begin construction late Spring 09!! 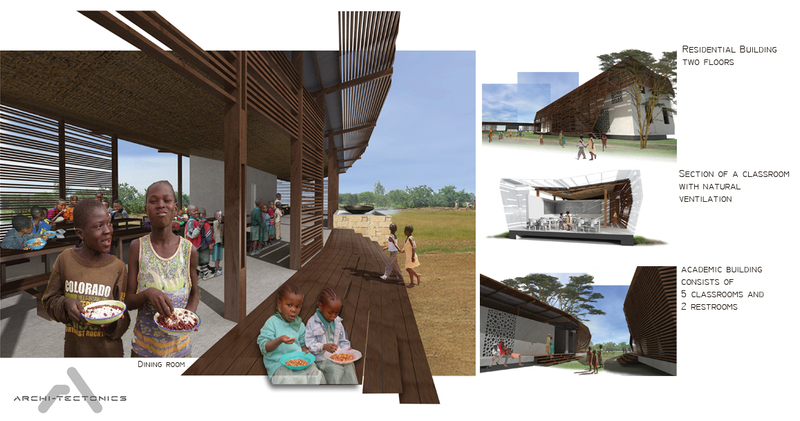 SUSTAINABLE VILLAGE - The MCF Academy was designed by Archi-Tectonics and will be the first tuition-free school in Liberia. The Academy will house and educate 200 orphan children in a sustainable village setting. The Academy includes two academic buildings, girls and boys dormitories, a dining hall, library, and a faculty building. You are currently browsing the Archi-Tectonics Today weblog archives for March, 2009.